This story from the NZ Herald archive originally appeared in January 2016. Mr Lin, who drives a 2001 Honda, says he’s not motivated by the trappings of wealth. With his wife, he supports most of the living expenses of their parents and pays for the upkeep of five cars in two families. The optimist says he isn’t worried by talk of a slump in property prices, saying that would only enable him to buy more places. And like other Auckland landlords who predicted rent rises this week, he says he’ll be putting his rents up soon. 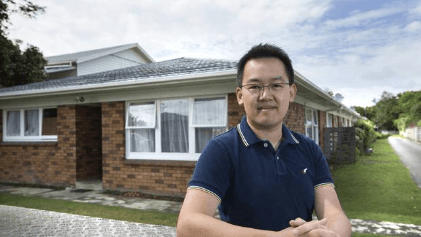 He puts it down to rising demand for rental properties, investors not buying as many places due to Government and Reserve Bank restrictions, higher council rates, and rising insurance premiums, maintenance and management fees. “I’ll be putting the rents up $10 to $20 a week because all my expenses are rising.